Golden Tiger is one of the most powerful and interesting sativa hybrids we have developed lately. It's a straight hybrid derived from the 'killer' Malawi mother and a selected Meo Thai male. Meo Thai is an exceptional highland Thai selected by Cannabiogen. In this hybrid, we have combined the 2 most potent and resinous landrace sativas we have ever worked with. The result is a plant with a great vegetative strength, remarkable for its overpowering potency and its exceptional floral traits. The flower bunches flare over forming dense buds with small leaves. The trichomes are big, plentiful and loaded with powerful cannabinoids. FLOWERING End of October / November. STRUCTURE Elegant sativa of thin leaves and medium internodes. BOUQUET Sweet and citric, somewhere between ripe mandarin and ripe lemon, with notes of wood and spices. Oily background. HIGH Overpowering psychedelic sativa effect, dense, stimulating and very long lasting. It may be devastating for beginners. Recommended only for the harder and most experienced sativa smokers. GROWING TIPS Although this sativa shows all its potential in tropical/subtropical climates, it has also been grown with very good results even in latitudes 43ºN. For indoor growing for small columnar plants or SOG, start straight from clones to 12/12 just a couple of days after the rooting. 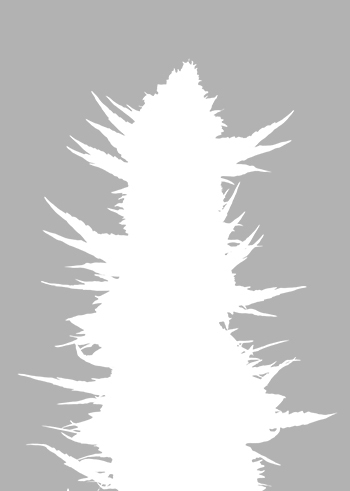 This sativa is adequate for SCROG, horizontal or network growing due to its excellent yield in the lateral branches and its vigorous reaction to pruning. Golden Tiger is an excellent alternative to the haze sativas. It will fascinate the most demanding growers, looking for new sativa experiences of the highest order.